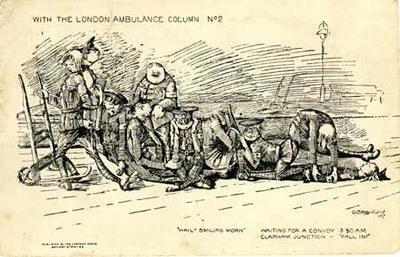 Menu for a dinner for the volunteers of the London district ambulance column held on 18 February 1919. It contains information about the toasts, musical programme and menu. 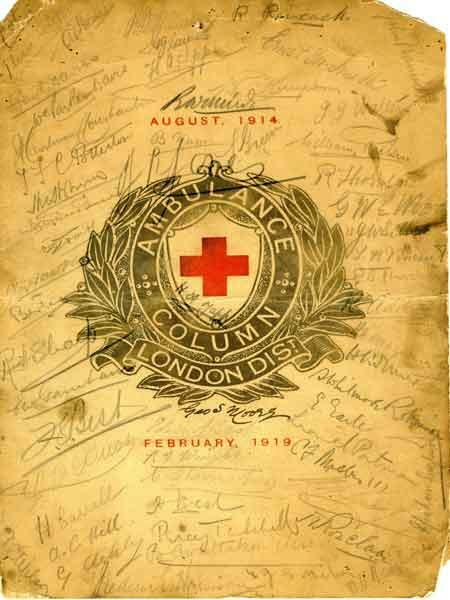 The front cover incoporates the badge of the London district ambulance column with the dates August 1914 to February 1919, when the Column was in existence. The covers have been autographed by many of those attending the dinner.